This walkthrough uses the DNSBL portion of pfBlockerNG to remove ads/advertising and more importantly, malvertising. It essentially creates a functionality similar to the pi-Hole project except it doesn’t require a separate piece of hardware. Instead, you just use your pfSense + pfBlockerNG! If you’re interested in a write-up on installing/configuring the pi-hole on Ubuntu, I have one here. Please note this walkthrough is for the new devel version of pfBlockerNG. 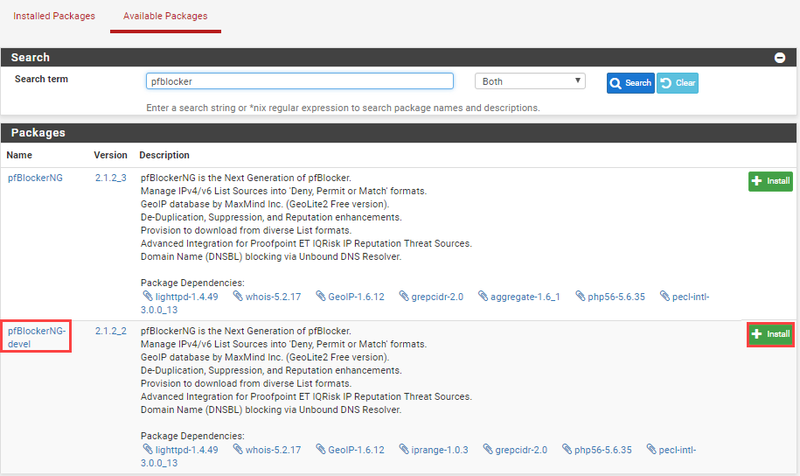 The pfBlockerNG-devel package is now in the standard list of available packages and no longer requires the development/experimental branch of pfSense firmware. Even though the package states “devel,” I have no issues using it in production. First, I was lucky enough to be a beta tester for this release and the number of changes are astounding. Second, the configuration is 10X easier. Last but not least, the package is extremely stable. All that said, if you are still leery about using a “development” package on your pfSense, the older version of this walkthrough is still available at the link below. Warning: DO NOT install the latest version of pfBlockerNG unless you are on the most up-to-date version of pfSense. This is especially important if you are on a pfSense before 2.4.4. Version 2.4.4 introduced PHP 7.2 and it broke a lot of packages, not just pfBlockerNG. I would argue you should upgrade pfSense to the latest version *before* installing any new packages and the “official” pfSense upgrade guide backs up my philosophy. The upgrade guide also emphasizes creating backups, rebooting before updates, etc. which are all fantastic advice. I love pfSense and if I could only install one package to enhance its capabilities, it is undoubtedly pfBlockerNG. It is the very first package I install after configuring a brand new pfSense and in some cases, it is the only one. pfBlockerNG is a pfSense package maintained by @BBcan177 (on Twitter). It’s worth mentioning that BBCan177 has a Patreon campaign where you can easily donate a few bucks to ensure he continues maintaining and adding to the package. If your using this in a production environment, I highly encourage you to donate. pfBlockerNG is an absolutely amazing package and I would argue a pfSense install is not complete without it. pfBlockerNG can add other security enhancements that I’ve discussed on this site such as blocking known bad IP addresses with blocklists (link below). If you don’t already have the blocklist functionality in place on your pfSense, I would strongly suggest adding it after you’re done with this walkthrough. If you installing a pfBlockerNG for the first time, skip this step and go to installation. *If* you have quite a few custom settings such as rules, IPv4 lists, and DNSBL lists and you want to keep all of your settings, go to Firewall -> pfBlockerNG (General) and make sure ‘Keep Settings’ is checked. If it’s not, put a check there and click ‘Save’ at the bottom. In my opinion, unless you have a very complex setup, my personal opinion is to take the check out of ‘Keep settings’ and setup pfBlockerNG from scratch. As you will see during the setup of the new version, adding feeds is ridiculously easy so don’t assume you are going to spend 20 minutes adding 5 feeds. If you go this route, I would suggest taking screenshots of your various settings as well as the feeds you currently use so you can ensure you add them back in. Trust me when I say that adding feeds in the new version is point and click! Either way, I’ll proceed through this walkthrough whether settings were kept or not and point out the differences along the way. Go to System -> Package Manager and delete the package. Go to System -> Package Manager -> Available Packages and type ‘pfblocker’ into the search criteria and then click ‘search.’ Make sure you click ‘install’ on the version with ‘-devel’ at the end of it or the package or you will be installing the old one! On the next page, simply click ‘Confirm’ and let the package install. This will take a bit of time as it has to download several files and databases. I didn’t need this step on the handful of upgrades/installs I’ve done. However, if you do not see “pfBlockerNG-devel” in the list of available packages, you can also try running ‘pkg update -f’ from the command line. Also, don’t worry about the message about running the geoipupdate.sh shell script. That is only necessary with the IP blocklist functionality in pfBlockerNG. At this point, you have already installed the package. Next, you will need to enable it from the main page (Firewall -> pfBlockerNG). On this page, click ‘Enable’ next to pfBlockerNG and then ‘Enable’ next to Keep Settings. Don’t forget to click ‘Save’ at the bottom. BTW, just a quick shout out to my buddy, Austin, on the sweet logo he created for pfBlockerNG!!! Next, go to the DNSBL tab and it will take you to the main DNSBL landing page. Place a checkmark in ‘Enable’ next to DNSBL (below). If you only have one internal interface such as LAN, then you shouldn’t need to do anything else. If you have multiple internal interfaces and you would like to protect them with DNSBL, then you will need to pay attention to the ‘Permit Firewall Rules’ section below. First, place a checkmark in the ‘Enable’ box (red square below). Then, select the various interfaces (to the right) by holding down the ‘Ctrl’ key and left-clicking. 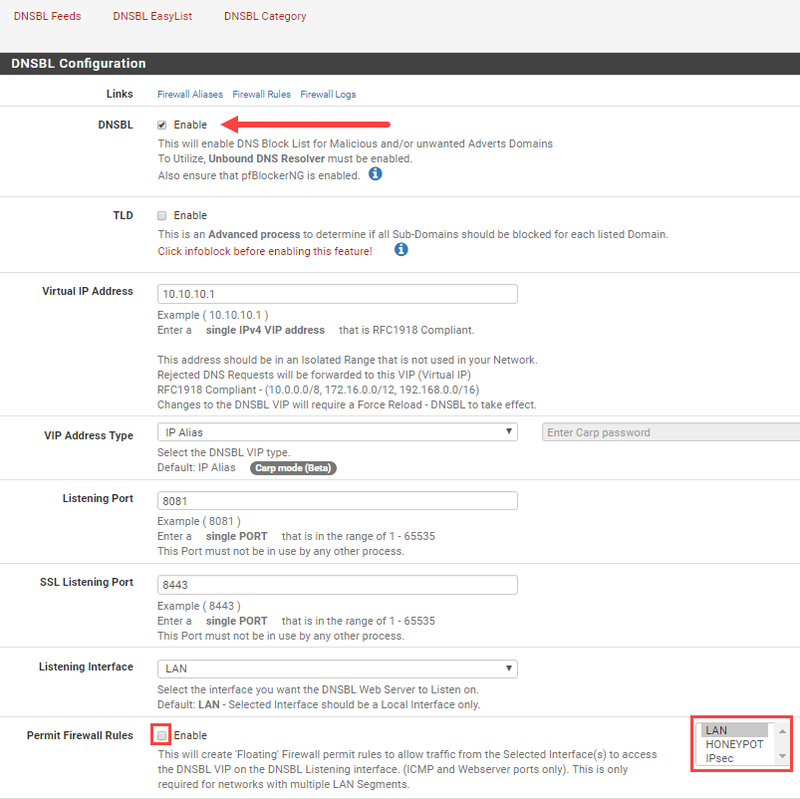 Don’t forget to hit ‘Save DNSBL settings’ and move to the DNSBL feeds section. If your pfSense has plenty of memory, another really amazing feature to consider is TLD (below the DNSBL option in the picture below). This option is required for the TLD blacklists discussed later in the walkthrough. What does the TLD feature provide? Normally, DNSBL (and other DNS blackhole software) block the domains specified in the feeds and that’s that. What TLD does differently is it will block the domain specified in addition to all of a domain’s subdomains. As a result, a bad guy can’t circumvent the blacklist by creating a random subdomain name such as abcd1234.linuxincluded.com (if linuxincluded.com was in a DNSBL feed). That’s really powerful and as far as I know, it is one of the few DNS blackholing software that does it. You can get an idea on memory requirements by clicking on the blue ‘info’ icon next to TLD. If you have less than 2GB of memory on your pfSense, I would skip it. If you’re unsure on your memory, this might be a feature to come back to after you get your feeds and everything else configured. Nonetheless, don’t sleep on this extremely powerful feature because TLD can definitely add several layers of protection. Go to ‘Feeds’ (not DNSBL Feeds) at the top. Here you will see all of the pre-configured feeds for the IPv4, IPv6, and DNSBL categories. And yes, there are a bunch of them! You’ll also see custom, user defined feeds at the very bottom if you performed an upgrade and it was unable to match a feed to an existing feed. If you don’t have a “Feeds” sub-menu, that most likely means you are still on the older version of pfBlockerNG. Another way to check is if you have “Alerts” instead of “Reports” along the top row of pfBlockerNG options… That too means you are still on the old version. 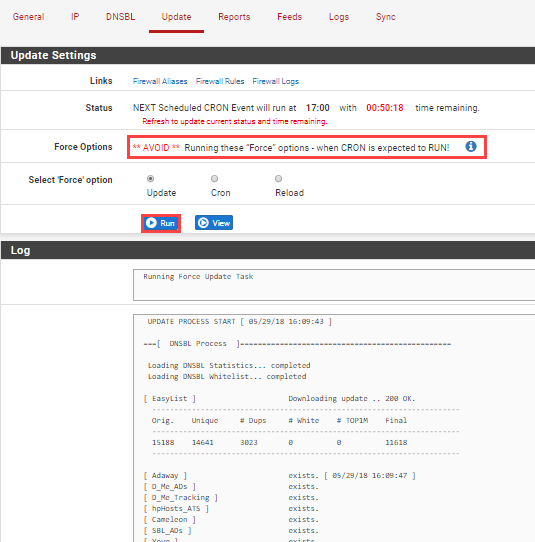 You can either follow the walkthrough for the older version of pfBlockerNG or switch your pfSense to the devel branch (above). Scroll down to the ‘DNSBL Category’ header. Click the “+” next to the ADs header (red box below) to add all the feeds related to that category. Note: if you instead click the “+” to the far right of each line (purple box), you will instead only add that individual feed. Click on the ‘DNSBL Feeds’ tab and you will be taken to the DNSBL feeds summary. Assuming everything went as planned, your feeds summary should look similar to the one below. Go back to the ‘Feeds’ tab up top and then scroll down to the ‘DNSBL category’ section again. We’re going to add another category (after making some changes), but let’s explain everything you see here because there is a lot going on. 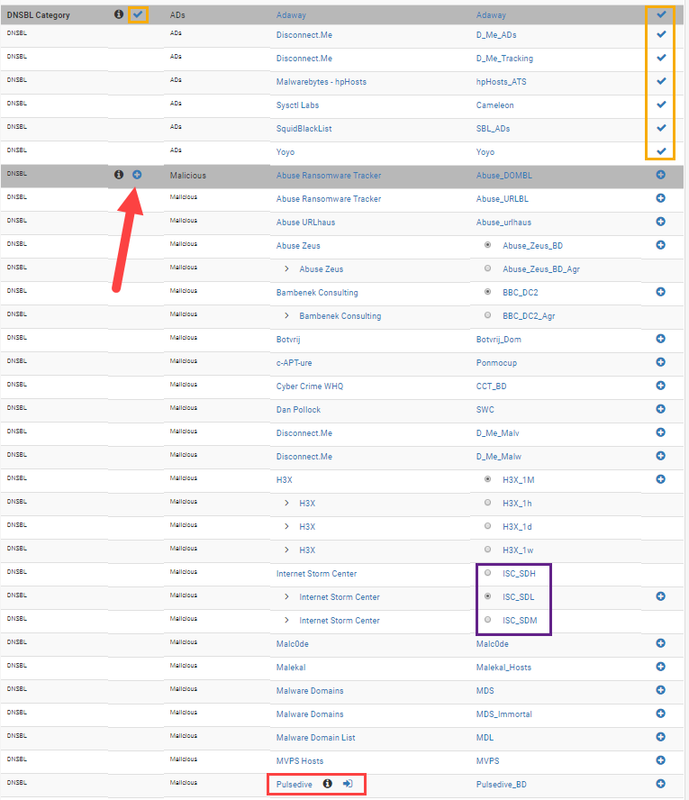 Looking at the image below, you’ll see the first left orange box up top around the ADs category checkmark means you have a DNSBL category alias for this group. This is the category we just added. On the right hand side, you see the larger orange box. The checkmarks next to each line/feed mean all of those feeds are active in the DNSBL ADs category. This distinction is important to recognize as we add the next category because we do not need to enable every feed for a particular category. A couple of other items worth mentioning before we add the ‘Malicious’ category. Some feeds have selectable options such as the SANS Internet Storm Center feeds in the purple box. I personally recommend switching the feed from ISC_SDH (high) to ISC_SDL (low) as the high feed has under 20 entries and the low feed includes the high feed. In addition, I haven’t seen many false positives when using the expanded (low) list. Also, take note of the ‘info’ graphic next to the Pulsedive feed highlighted in red below. If you hover over the ‘i’ you will see it states this is a subscription feed, which means you need to pay for it. Subscription feeds can have a lower false positive rate and are typically updated on a more frequent basis. That said, I’m not using them for the purposes of this walkthrough. You will see selectable options and paid feeds throughout the DNSBL feeds so it is important to understand what these graphics mean. After making the switch to ISC_SDL, click the left-hand plus next to the Malicious category (red arrow below). We’ll start removing feeds in the next screen. Click on the ‘DNSBL Feeds’ tab and you are taken back to the DNSBL feeds summary. Assuming everything went as planned, you should see the ADs and Malicious entries in the summary list. Note: Some readers have stated that if you don’t see the feeds or if pfb_dnsbl won’t start, try adding an empty feed manually. Adding other feeds is just as easy and you can add as many feeds as you like, but keep in mind that too many feeds can potentially slow down your firewall. It’s quite possible just adding these two categories alone is too much for a resource starved firewall! This is because feeds are periodically downloaded and unbound is reloaded every hour. If you using a system with limited resources (mainly RAM), you need to be extra careful. When in doubt, add feeds slowly and keep an eye on memory, CPU, etc. If you happen to have an installation of Nagios Core or Nagios XI available, then I’d also recommend heading over to my article on monitoring pfSense with Nagios. Cryptojackers (all of them) – This blocks cryptojacking software and in-browser miners, but it also blocks various coin exchanges. If you try out some of others and you feel like they worked well for you, please let me know and I’d be happy to make changes to this page based on feedback! Next, go to the DNSBL EasyList tab. Make your screen look like the one below by typing in EasyList in the name and description fields, changing EasyList to “ON”, and then selecting the 4 lists to the right. Note: To select all of the EASYLIST categories you need to hold down the “Ctrl” key while you left-click on each of them. You will also need to change ‘Action’ to Unbound as well as change the ‘Update Freqency’ to Every 4 hours. Once those changes are made, click ‘Save DNSBL EasyList Settings’ at the bottom. It’s also worth mentioning they are privacy related selections in the EasyPrivacy section. I found these to be mostly unusable because they broke several things (mainly related to Amazon), but again, your mileage may vary. Next, go over to the Update tab within pfBlockerNG. Heed the warning in the first red box and make sure you are not going to run the updates near the time your cron job would automatically run. If the countdown timer is less than 3 minutes, I would not recommend running it and instead just wait for the system to run it automatically. Assuming you are good on the time, go ahead and click the ‘Run’ button. You will see progress updates in the gray window below including the number of domains downloaded for each list, when the list was last updated, etc. Also note that pfBlockerNG is smart enough to check for and eliminate duplicate DNS (# Dups) entries between the lists. [ Spam404 ] Reload [ 05/29/18 16:20:07 ] . completed ..
[ SFS_Toxic_BD ] Reload [ 05/29/18 16:20:08 ] . completed ..
[ VXVault ] Reload [ 05/29/18 16:20:09 ] . completed .. So what does the finished product look like? On many sites like YouTube, you’ll see gray boxes where an ad normally would have been. 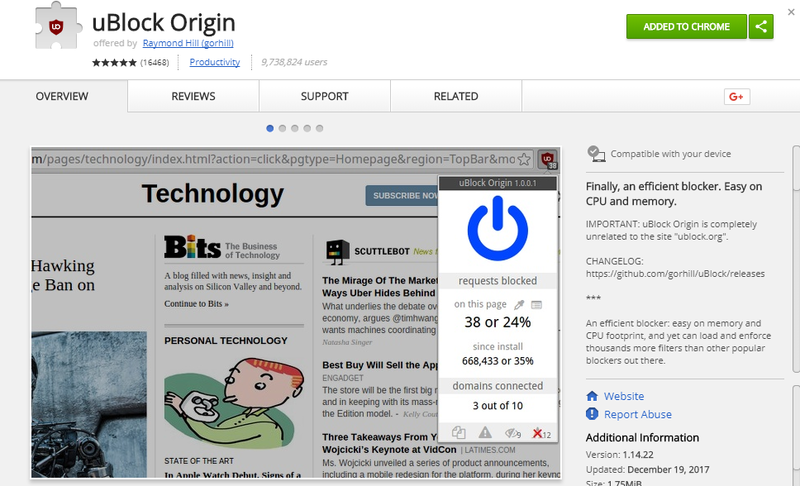 A browser add-on like uBlock Origin (discussed below) further cleans this up by removing the gray box entirely and it also provides some secondary protections. If you visit Yahoo.com (why? seriously, find a new news site), our pfBlockerNG configuration eliminates the wasteland of ads that you normally see as well (red box below). Many sites will look similar to this with vast regions of white space where ads normally would show and don’t be surprised to find ads intermingled with news on many sites. <- In advertising, it’s all about improving that click through ratio (CTR)! So you see the end result when browsing, but what’s really going on? How the DNSBL portion of pfBlockerNG works is most easily seen via a command line. Normally, you would ping 302br.net and get back their actual IP address. However, with pfBlockerNG properly setup you will instead see a reply of 10.10.10.1, which is the default virtual IP address DNSBL creates. 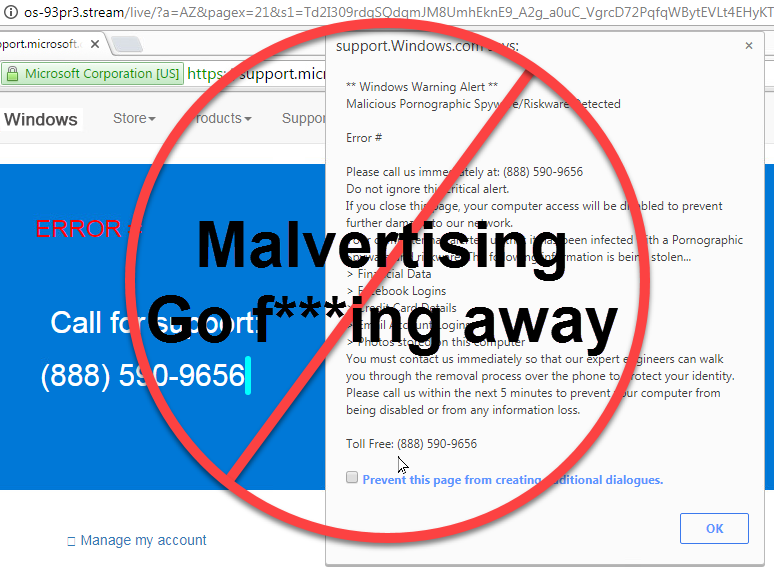 Basically, the ad/malvertising domain name is blackholed instead of displaying (or resolving). Feel free to test this against any domain in any one of the lists that you added. If you followed all of my examples/recommendations above for both ads and malicious sites, you will likely have a DNSBL list that is well into the hundreds of thousands if not millions. Wouldn’t it be nice to see which groups and feeds are working? No problem! The new version of pfBlockerNG has some really fantastic graphs built-in as shown below. 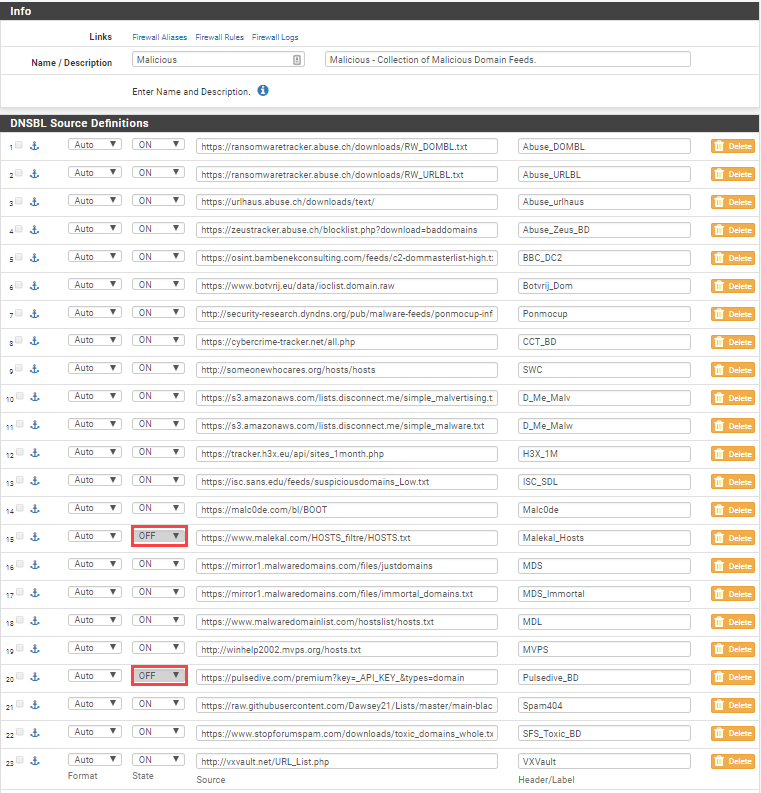 You can even see the top blocked domains, source IPs with the most blocks, blocked user agent strings, TLDs, and much more. Super cool! Also super helpful is you need to whittle down the number of feeds you are using, i.e. this feed accounts for 50% of your blocks and it’s a third the size of these other two feeds combined. Just go to Firewall -> pfBlockerNG -> DNSBL Stats to see all the DNSBL eye candy, aka graphs/stats. What happens if/when a website is inadvertantly blocked? Afterall, it is bound to happen. You can either remove the offending list entirely (DNSBL -> DNSBL Feeds -> Edit the list in question) or more preferably, you can just whitelist the domain. The absolute easiest way to do this is by going to the Reports tab and scrolling down to the DNSBL section. Clicking on the red lock (in the orange box below) will temporarily unlock the domain so you can verify if it is indeed the domain that needs to be whitelisted. Clicking the ‘+’ (in the purple box below) will add the domain to the DNSBL whitelist. When clicking the ‘+’ you will then receive a prompt about whether you want to perform a wildcard whitelist or just a whitelist. Read the explanation, but I typically use whitelist because it is more exact and less prone to letting something past. I would also suggest adding a description so you know what was broken and/or why you fixed it, i.e. today it makes perfect sense, but it might not 6 months from now. In my years of IT/security, I’ve found documentation is as helpful for me as it is for someone else. Maybe I’m just getting old! If you go back to the main DNSBL tab and expand the DNSBL Whitelist section toward the bottom, you should now see the domain you whitelisted. You might also notice that if the domain you are whitelisting has CNAME records, pfBlockerNG is smart enough to add those too as shown below. As you might have expected, you can also simply type each domain in on a separate line and then click ‘Save’ if you know which domains to whitelist. If you want the whitelist additions/changes to occur sooner rather than later, you will also need to go back to the ‘Update’ tab and click ‘Run.’ If you don’t want to do the trial and error on your own (and I *really* think you should), I have provided some whitelist recommendations below. It’s also worth mentioning that if a system already resolved the domain name on your system and it is previously resolved to 10.10.10.1, then you may need to clear your local DNS cache, your browser cache, or both. To clear your machine’s cache, from a command line on Windows, type in ‘ipconfig /flushdns’ and that should take care of it. You can run a similar command on a Linux system, although the commands can vary from one installation to the next. More often than not, simply restarting your network interface will work; on most distributions, ‘service networking restart’ or ‘systemctl restart network’ should take care of it for you. Each browser has a slightly different way to clear the cache, however, all of them allow you to pull a new version of the website if you hold down “Shift” while clicking on the refresh/reload button. If ads are not getting blocked and the ping commands above don’t return the virtual IP address, it’s also possible your local machine is not using pfSense for its DNS settings. If you are using Windows, check your network settings and make sure it is set to your pfSense IP address. On Linux/*nix, check your /etc/resolv.conf or even Network Manager (if using a GUI). If you are not using pfSense for your DHCP server, you may need to do some digging. Although somewhat uncommon, keep in mind that some anti-virus packages and endpoint protection can mess with your DNS settings. Furthermore, those changes may not necessarily be reflected in your operating system’s DNS settings. For example, Avast Premier has a Secure DNS feature that will force your browser to use Avast specified DNS servers in an effort to prevent DNS hijacking. If you find that other devices on your network are blocking ads and one particular device doesn’t, then your anti-virus or endpoint protection very well may be the culprit. When all else fails, you can always fire up Wireshark for a packet capture to ensure your system is querying the DNS server(s) you specify. These are a few domains I’ve seen cause issues if they end up on the various DNSBLs. You can easily copy and paste them into the “custom list” as described above. If you have no plans to use some of them (based off their name alone), you can and should omit them from your whitelist. Do you have other recommendations beyond the ones I have listed? Let me know and I’ll add them! Note the underlined client in the previous headline. This change does not apply to you if you use pfSense as an OpenVPN server, but rather when you use it as an OpenVPN client. In these handful of instances, users are redirecting all of their traffic to a VPN service such as Private Internet Access (PIA) or ExpressVPN. In this scenario, users reported back that their DNS was leaking after configuring the solution above. You can handle this a number of ways. One possible solution would be use to DNS over TLS as described in Configuring Quad9 on pfSense. Another option is to go to Services -> DNS Resolver and switch the outgoing network interface to LAN only instead of all (shown below). As always, don’t forget to click ‘Save’ after making your changes. Thanks for the guide very helpful and everything has a detailed explanation. You’re very welcome Matthew! Thanks for the feedback! Hello once I have this setup it seems I am unable to access dropbox. Even access website or sync client. Is there any work around? Did you add the whitelist recommendations? I am able to access Dropbox without issue. If whitelisting doesn’t work, you can also remove the offending list; simply go to the Reports -> Alerts, find the feed with the Dropbox related domains, and then go back to your feeds to remove it. Don’t forget to force reload after you removing it. You will also probably need to flush your local DNS and/or browser cache too. These items are explained in the troubleshooting/whitelisting section if you need further guidance. Good luck! great guide! It’s the first time I’ve felt confident in my pfblockerng configuration, so thanks! One thing, though, I’m having issues updating D_Me_Malw & D_Me_Tracking – is this common? It looks like yours was working just fine…. Russell, thanks for the feedback! It looks like S3 was added to one of the blacklists, which in turn caused those feed downloads to fail (they are hosted at s3.amazonaws.com). Look at your DNSBL alerts (Reports -> Alerts -> DNSBL heading) and then whitelist one of the alerts that say s3.amazonaws.com. Go back to Update and Force/Run and you should see the download goes through without issue for those feeds. Can you verify if you used the whitelist from the guide? I’m just curious if I need to add other hosts to it. Thanks! I used the pihole for some time and fiddled with the pfsense dnsbl time and again. Before discovering that there was a -devel update to pfblockerng I tested the tld blacklist. Now you see this is extremely important and it must function like the whitelist. In the older version there was a custom whitelist feature but only the tld blacklist. That bugs me to no end. Blacklisting individual sites is extremely important. I find ad serving sites that get by the blocklists all the time (or just sites that I never want to visit). Without a site blacklist I would not use the tool. I can’t understand why the author doesn’t provide a feature to blacklist sites on the same page or in the same area as the whitelist. It is perplexing. So I decided to search for a definition of tld blacklisting. I found someone’s answer that indicated that the tld blacklist operated like the custom whitelisting without the use of wild cards. So I tried it by putting the whole sitename in the tld blacklisting box. That worked. A few days later I saw this post and decided to upgrade. I immediately worried that the tld blacklist feature would be broken. To my surprise it did not fail me. It worked. I did not tick the tld option on the page as you specified. So, that’s good news yet I’m fearful that since this feature is so poorly documented that he might sneak Nerf it when I’m least looking. Let’s hope not because site blacklisting here is important. And I mean “here” on this page. I am aware of domain overrides. I don’t want to jump around to all over just to do what should be done where everything else blacklisting and whitelisting related is done. The TLD whitelist is only used in conjunction with the TLD whitelist and the author specifies this several times in the various infobox descriptions. That said, I’m a little confused about the TLD blacklist/whitelist working without the TLD option. I tested this extensively myself (and double/triple-checked as I was writing this walkthrough) and disabling TLD caused the TLD blacklist/whitelist to quit working every time. FWIW, if you want to block individual sites, you can do this without any feeds… Simply go to DNSBL -> DNSBL Feeds and then click Add. You can then name it “custom_blacklist” (or whatever you want), leave DNSBL source blank/off, select action as unbound, and then then add your domains to the “DNSBL Custom_List” at the bottom. Either way, hopefully this helps! Happy to hear it helped and thanks for the feedback! That’s the plan! I’m running pfBlockerNG 2.2.1 and even with youtube.com and http://www.youtube.com whitelisted, YouTube was not working. I identified H3X, specifically H3X_1M, was blocking it. For now, disabling that list allowed YouTube to start working again. Have you experienced something like this? I use that particular feed in all of my installs as well. I have youtube.com and http://www.youtube.com added to my whitelists because they do end up on feeds from time-to-time. It appears an additional CNAME is added when whitelisted so you might verify it is present in your whitelist. FWIW, it seems like I was in the alerts -> reports a fair amount when I originally configured DNSBL. Over time, this lessened to the point I honestly don’t know the last time I had to whitelist a domain. Hope this helps! how to go to blocked youtube.com site, I have added to whitelist list, but still to blocked. And what processes make youtube blocked. okay, thanks, I try to enter in whitelist, youtube site can open. 2. to block mobile applications like youtube and facebook. whether to use pfblocker. Maybe it could give clues or something else. To block Facebook, this is what I’ve done in the past. Go to pfBlockerNG -> DNSBL -> DNSBL Feeds and click add. Use this github repo for the source – https://github.com/jmdugan/blocklists/blob/master/corporations/facebook/all. From there, type in something for the name and header, switch the state to on, and then switch action to unbound. It works extremely well. I haven’t tried finding/creating a YouTube blocklist, but it could be accomplished via the same means. Good luck! I can block facebook and other social media through TLD. I will try the list you give, thank you. Do you know how to create a schedule to open a blocked one at a certain time in pfblocker? Instead of using TLD, I would stick with the blocklist as previously suggested. Once your rules/aliases are created, you could modify the alias so it didn’t have “pfB_” at the beginning, which means future pfBlockerNG changes should leave it unchanged. You could then add a schedule (Firewall -> Schedule) and apply it to the associated rule. I also have added the list you provide (https://github.com/jmdugan/blocklists/blob/master/corporations/facebook/all) and I have update but still can open facebooknya. Did you perform an update once the list was added? Is the list now showing in your feeds? Last but not least, have you tested via the command line using ping or nslookup to verify the virtual IP is returned instead of the actual IP? Excellent! Yes, anytime you find a blocklist from GitHub, make sure you use the “raw” version in the pfBlockerNG feed configuration. Glad to see it worked! 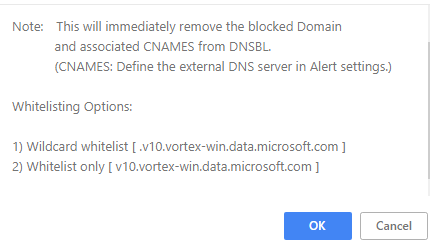 i will try disable and enable pfblocker..
Are you sure you are looking at the DNSBL section and not the IP section on the alerts page? The DNSBL entries should show the + and lock regardless. The IP entries only show the + and lock if you have suppression enabled on the IP tab. I get an invalid certificate error for both https://youtube.com and https://dropbox.com. It happens on both Chrome and Firefox. Both dropbox and youtube have been whitelisted. I copied your full list. It sounds like those 2 sites are getting redirected because they are on a feed/list and causing the SSL cert error. Did you force update, flush your DNS cache, and then clear your browser cache after adding them to the whitelist? If that doesn’t work, then there might be something going on with your whitelist. You could always simply find the offending feed via reports -> alerts and then remove it from the corresponding DNSBL feed. Hope this helps! I just found your site looking for information on PFSENSE, PFBLOCKERNG, and PIHOLE. Your guides on both of those is excellent. I have been using PIHOLE for a year and a half now and I am very happy with it. However, I would like to ask if you can provide some advice on a situation I have been having recently. My network consists of the following – Modem, PFSENSE box, PIHOLE, WINDOWS AD DC/DNS, Windows Server FP DNS, and Clients. I originally started with the PFSENSE box doing the DHCP service and setting the PIHOLE as the DNS server for all the clients under DHCP in PFSENSE. The PIHOLE was forwarded to the Windows AD/DNS and the Windows AD/DNS would be forwarded to the PFSENSE box via the forwarders tab. This worked well. I decided to sign up for a VPN service. I configured the OPENVPN client, downloaded the client configuration file(s) from the provider and set it up in PFSENSE. I created aliases as I only want a couple of devices to go out the VPN connection. I have all my clients setup in statics IP’s on the DHCP server (PFSENSE). I have unbound enabled on PFSENSE and the forwarder option checked, under DNS General, I have a couple of DNS entries, OPENDNS and Google. For DNS leak prevention, I went with method 1 as the second one I could not get it to work. The DNS leaked. So having set this up with method one, the clients that are supposed to be behind the VPN all work no problem but the clients that use the regular WAN connection, use the same VPN DNS. When the VPN goes down, sometimes all the clients loose internet connection. So I started searching and asking on forums and I was given advice that it’s best to have the Windows AD/DNS set as the DNS for the clients, then on the Windows DNS under the forwarders tab, set the PIHOLE and on the PIHOLE set the OPEN DNS, Google, or the VPN DNS, whatever. I switched my configuration to this now. I disabled the DHCP from PFSENSE and installed it on the Windows FP/DNS mentioned above. However, this also leaks the DNS for the two VPN devices. On the PIHOLE, if I remove those DNS entries (google, opendns, etc) and I set the PFSENSE, then there is no more DNS leak, however, I am back to square one. The none VPN clients use the VPN DNS. So now, I started re-searching again and a lot of people suggest that maybe giving PFBLOCKERNG a try might do the trick. This is how I ran into your guide and I would like to give it a try but I think my set up the way I have my network and the way I want it to work, makes it a bit hard to configure. I am missing something somewhere, I just cannot figure it out what it is. It’s frustrating but I don’t give up easily. If you can provide any advice, I’d really appreciate it. If you need any more info, let me know. Thanks very much and apologies for the long message. Guicho, sorry I’m just getting back to you. You have quite a bit going on — Windows AD, VPN, and split gateways — and it will take a bit of playing around to get it to work properly. First, I would remove the pi-hole from the setup as you suggested. I love pi-hole, but it is redundant in this scenario. Second, I would disable DHCP on pfSense and have the clients use both DHCP and DNS from the Windows server, which is recommended for AD environments anyway. I would then point my domain controller to the pfSense for the forwarding DNS. This would allow your clients to benefit from pfBlockerNG. Now here is the issue… All of your DNS traffic at this point will go through your standard gateway and the firewall isn’t going to be able to differentiate because all traffic is *originating* from the Windows DC. At this point, the only way to get around this would be to change the DNS entries on individual DHCP static leases, which would then break your AD environment. If those systems don’t need to be on AD, then go that route. Worth mentioning is to remember to not *mix* DNS servers, i.e. don’t have an AD DNS server, OpenDNS, or pfSense in the same client config. DNS servers are not queried in order so you will end up with something working one minute and then not the next. What I would suggest doing instead if you need those systems on AD is to encrypt all your DNS traffic via DNS over TLS and not worry about which gateway DNS traffic goes out. I discuss how to do this in this article, https://www.linuxincluded.com/configuring-quad9-on-pfsense/ for Quad9, although a similar config would work for Cloudflare or any other DNS provider that supports DNS over TLS. Hopefully that helps and best of luck! hello, thank you for the guide. i have a question, when pinging site with cmd. i don’t get the 10.10.10.1 like in the picture. i think i am getting the site ip instead. this is on a fresh pfsense 2.4.3 with pfblocker devel 2.2.1. not sure if i miss a step or that is normal. can you shed light on this? If you’re getting the actual IP of the site, then either a) that site is in your local DNS cache, b) your Windows settings are not quite right, c) DNSBL is not started/enabled, or d) you don’t have DNSBL feeds enabled. From the command line, take a look at ‘ipconfig /all’ for your primary ethernet adapter. Make sure your firewall IP is both the gateway and DNS server. You can also double-check whether DNSBL is working via nslookup and then typing ‘server ‘ followed by various hostnames (from the feeds) you want to test. Hopefully that helps! If not, give me a holler back. Great write-up. Coming from DDWRT, I needed a good walkthrough like this to get me going. Easy to follow and just works unlike a lot of other tutorials I’m reading on the pfSense packages. I haven’t read an article so detailed and easy to understand that this one! I just put together a new firewall hardware (Xeon processor and 8G RAM) and one of the things I really use is pfBlocker. This, by far, is the best set of instructions ever. I appreciate your effort on putting this together. Thanks for the feedback Juan! Much appreciated! What an amazing and detailed tutorial. I really learned a lot, thanks so much! Appreciate you spending the time. So happy to hear you learned from it! I appreciate the feedback! I do not know where I did wrong. But my ping results on windows still returns true IP of the server. If I ping on pFsense then it returns true 10.10.10.1. I have removed google’s DNS and open DNS on the DHCP server. I also assign a static IP to the computer and set the DNS on the pFsense’s IP LAN. But it seems that things are not working as I expected. If you have pfSense responding correctly you are definitely on the right track! The most likely culprit is the local system DNS, which you already corrected to some degree with a static IP and static DNS. My guess is that your local system still has/had the DNS entry in its cache. If you are using Windows, type in ‘ipconfig /flushdns’ (minus the quotes) to clear it. You should see ‘Successfully flushed the DNS Resolver Cache’ on modern versions of Windows. Also, you were correct in removing your other DNS entries. DNS is a little funny because it doesn’t react as you might expect — primary server, then secondary server, etc. I’ve discussed this before on other posts such as the Configuring Quad9 on pfSense post, https://www.linuxincluded.com/configuring-quad9-on-pfsense/. Read the red text on that page and it will describe this issue. Assigning “different” vendor DNS works the same at both the client and firewall level, i.e. the DNS servers are *not* queried in order. Yes. I did all the work you said above. Everything works OK. Just on my computer it does not work as expected. There are all ads of google it blocked very well, other advertisers almost no. I tried adding the host addresses of other advertisers to a host file but it still does not work. Although all the telephone or TV equipment inside my LAN works well. If it’s blocking Google ads I would think it is working. If I ever think something isn’t working quite right, I select a handful of hostnames from the feeds and test them from the command line to ensure they return the pfBlockerNG virtual IP. Also, keep in mind that some sites now utilize “same origin” so you won’t block them. Last but not least, is it possible an application is using a different DNS. You might also try a Wireshark capture to determine if something is directly querying a different DNS server. For example, if you using Firefox 62, it has DNS over HTTPS support which means it could bypass your local DNS server. It’s an absolute shot in the dark, but Wireshark is a must when something isn’t going quite right. Good luck! Thank you for all that you have shared. Perhaps I have found something that has interfered with the DNS system on my computer. This is due to Avast’s “Real Site” DNS Custom feature of Avast Premier that I have installed. It has interfered with the DNS on my browsers. Except for Internet Explorer, it has been tested to have discovered this interesting thing. I want to contribute a share on the VPN Client section. In this case, you need to activate the DNS Server enable feature and enter the local IP address. Then on the VPN client will work. I wasn’t familiar with Avast Secure DNS, but after reading about it that makes sense. I did have a one line statement about how some anti-virus packages can mess with DNS configuration settings, but I’ll expand on that a bit and mention Avast as an example. Happy to hear you figured it out! Your guide is just what I needed. Had to delete my old version and start from scratch to get it working. I have a few question however. 1) My windows computer is blocking adds on yahoo.com fine but my macbook pro is not. I’ve check the DNS setting and it is the IP of my PFSense firewall and have cleared the DNS cache without success. Any ideas? 2) Do you do any geoblocking in PFBlockerNG, for example china and russia? If so do you have recommendations? Hey Warren! Thanks for the feedback! 1) Since other systems are working properly and you verified the settings are correct, my next check would be some software on that particular system, e.g. VPN, anti-virus, etc. I would also test from the command line and see if those results are different than your browser results. If you can’t seem to find anything, fire up Wireshark and determine where the queries are going. 2) I don’t use geoblocking because I occasionally access sites around the world. Geoblocking is a fantastic addition *if* you know your environment extremely well and you know where your traffic goes. The few times I used it, I would block the usual suspects but I would also watch my logs to see where activity came from. For example, if I saw an increase in activity (WAN block) from France and I knew I wasn’t going to access anything in France, I would add it to my geoblock list. If I saw an increase in activity from Morocco, I would add them, etc. I used to do this by hand, but keep in mind that the new version of pfBlockerNG has the IP Block Stats by Country graph via pfBlockerNG -> Reports -> IP Block Stats to help you. I always found geoblocking ridiculously difficult to troubleshoot which is the reason I only use it in fringe cases at this point and instead opt for “stacking” block lists. Just got into pfSense last week with a purchase of a new XG-7100U and I love it. Thank you for this post I listened to your advice – first thing I did after logging in. I also configured QUAD9 as you suggested. ALMOST all is working perfectly. Only thing is with TLD Blacklisting/Whitelisting. 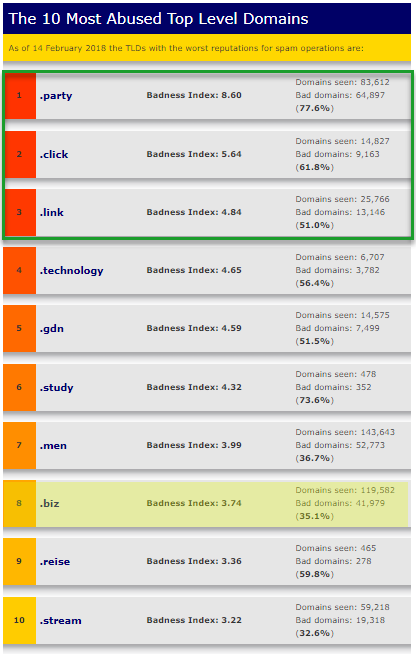 I used the ten TLDs from your post – and cm – but I DO go to one .biz site. The Blacklisting works perfectly. My problem is when I enter cigarplace.biz and/or cigarplace.biz/185.11.187.115 into my Whitelist – I still get blocked. I have repeatedly cleared my Safari cache and used the Mac OS X command “sudo killall -HUP mDNSResponder;sudo killall mDNSResponderHelper;sudo dscacheutil -flushcache” to clear local cache. I can leave biz out of my Blacklist but just bugs me I can’t get it to work. Thanks again! Awesome! So happy you are making progress! Here are a few things to look at and/or try… First, did you also enable IP blocking? If you did, make sure the IP for the site is not getting blocked. Second, I recommend checking via the command line. There are just too many variables at the browser level — browser cache, possible endpoint protection issues, etc. Third, do you know if the site is aliased? For example, is a whitelist entry required for both www and the main site? Sometimes scripts or external calls are made on sites and those are a source of problems as well. Finally, have you tried the exclusion feature? Give all of that a shot and then see if the site is still showing in the reports/alerts section. Keep an eye on that as it can often give you some insights as well. I’d be happy to hear what you figure out and include it in the guide if it is relevant! I was not able to finish the complete procedure because I don’t have an option you apparently have on your side. In the DNSBL feeds page, the Unbound action is not an available option. I have several other ones but not “Unbound”. Would it be possible to be a bit more specific about how to get the unbound option working? Loved the tutorial, but I’m stuck on this point. Unbound *should* work. If it doesn’t start, I would double-check if the forwarder is running as they cannot run simultaneously. Could you send me the links of all your ads block and others ? Hey Daniel! There are honestly too many for me to list here. However, my selection method is pretty straightforward. I use the following DNSBL feed groups: ADs, Malicious, hpHosts, BBcan177, BBC, and Cryptojackers. I don’t use any paid feeds (arrow with exit door icon) in those selections. Last but not least, I also still add the Firehol3 list as a user defined feed although it is mostly redundant to the other feeds. If I ran a web or email server, I would also suggest the phishing group. Hope this helps! Upgraded pfSense to 2.4.4 today, upgraded to pfBlockerNG-devel, reconfigured the blocklists per your previous guide, configured DNSBL with this guide and switched pfSense DNS servers to Quad9. Seems to be firing on all cylinders. Snort working great too. All of this really makes for a wonderful browsing experience and peace of mind. I still have not dealt with the kids infections on their computers. All kinds of hits coming from the LAN/OPT1 side. Maybe after dinner. Thanks again Mr. Haselhorst! Fantastic Charlie! It really does make for a much better experience! Congrats on getting it all configured! Thanks for the feedback Ryan! Happy to see it helped you out! This is a fantastic guide. Bookmarked! I am a bit confused about the utility of having this and something like suricata running together. Is it as simple as suricata blocks incoming threats and this filters outgoing traffic? I noticed someone mentioned they were using this with snort without a problem. I was using suricata and the old pfblockerng. Had a few problems so wiped my pfsense box clean and started with a fresh 2.4.4 install yesterday. Now pfblockerng is up using this guide, I’d like to move on to getting suricata done ( but not sure if its that necessary). Thoughts? Any btw, do you have a guide for suricata? Just checking because you do it well!! Hey Victor! Thanks for the feedback! Unfortunately I don’t have a guide on Suricata, but I’ll add it to my list of potential future guides! As you know, Snort and Suricata are extremely similar as they are both IDS/IPS. I’ve played around with Suricata, but I mostly use Snort so that’s what I’ll reference to answer your question. I personally run pfBlockerNG (both DNSBL & IP blocker) as well as Snort… with a caveat. DNSBL and an IDS/IPS serve very different functions IMO and I would have no concerns running both of them concurrently. What I did find is that IP blocker (also part of pfBlockerNG) does overlap with IDS/IPS a fair amount. In fact, if you have an IDS/IPS on your WAN you’ll likely find that IP blocker handles about 99.9% of the internet cruft. In addition, for the purpose of speed/processing, packets are sent to the firewall rules (what IP blocker adds) and Snort simultaneously resulting in alerts from each of them. To my knowledge, Suricata processes the same way. As such, I’ve disabled Snort on my WAN side and instead, I have Snort running on my internal interfaces such as LAN and I’ve pared back my rulesets quite a bit. If you have numerous open ports on the WAN, I would leave the IDS/IPS enabled and only use rules specific to those open ports. 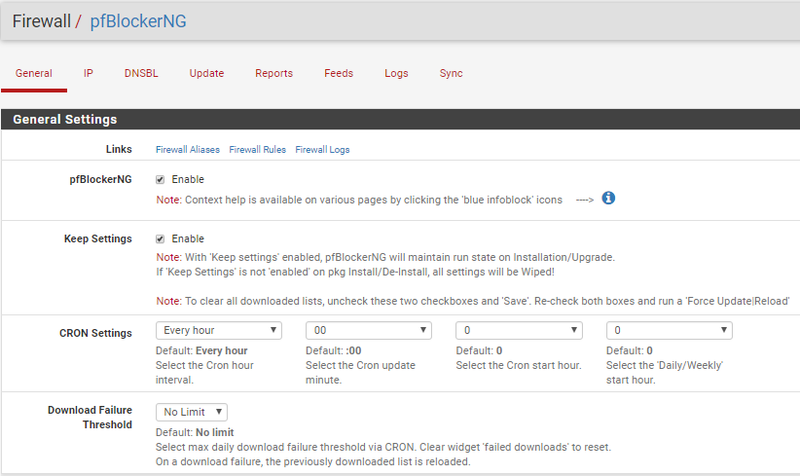 It was written for the older version of pfBlockerNG, however, I’ve included my guide on configuring IP blocker below. I would highly recommend going through it and getting it configured in addition to DNSBL. You hit the nail on the head in regards to potential redundancies between IP Blocker and the IDS/IPS system – hence my question if an IDS/IPS is necessary if I have IP blocker going ( I don’t as of now). Will check out your guide. Thanks! Thank you for writing such an informative and easy to follow article. When you mentioned, other blocked domains – I thought which ones, how do i know of a blocked domain? I have only enabled ADs and Malicious categories. So does that mean pfsense box is not used for resolving DNS? Hey Tony! Yes, your DHCP server is handing out the Cloudflare DNS to the clients directly, which isn’t necessary and won’t work for what you are trying to do. Go to Services -> DHCP Server and remove whatever you have in the DNS Servers section (steps 4 and 5 from the guide you referenced). While you are there, note the comment at the bottom “Leave blank to use the system default DNS servers: this interface’s IP if DNS Forwarder or Resolver is enabled, otherwise the servers configured on the System / General Setup page.” Basically, we want the pfSense to act as the resolver and if we didn’t add those servers into the DHCP config, it would have done that by default. 😉 After you have removed those, perform an ‘ipconfig /release’ and ‘ipconfig /renew’ from the command line and make sure your DNS server is now 10.1.57.1 as well. You can then test it out again via the browser or via the command line. You’re almost there! Holler if you need anything else! P.S. You actually could have left the default pfBlockerNG virtual IP after all since it would fallen outside of your network range, i.e. your /24 network is 10.1.57.X. If you used a /8 network (10.X.X.X) instead then that would not have been the case. Thank you very much for your comment and advise. But how do I know pfsense is using those DNS servers and not my local ISP DNS server to resolve DNS requests? Sweet! The easiest way is to perform a packet capture on your WAN interface. If you are *not* doing DNS over TLS, you can simply go to Diagnostics -> Packet Capture, select protocol UDP, port 53, and start a capture. If you’re using DNS over TLS, that traffic occurs over TCP 853 instead so adjust accordingly. You could download the capture for analysis in Wireshark, but you should be able to see what’s going on in the capture window once you stop the capture. Below is my traffic out to Google DNS, which I use as part of my Nagios monitoring. Also, keep in mind that some devices may have hard-coded DNS entries… Google devices are notorious for this. If this annoys you (as it does me), you can add an outbound firewall rule that re-directs all DNS traffic to your firewall instead. Thank you for fantastic tutorial. Issue with some news sites I visit. I’d like to allow ads on some domains only (ie local newspapers…) who block access to their stories when ads are blocked on their site. I’m sure the functionality is there. I’ve whitelisted the sites but ads are still blocked. How do I configure to allow content on particular sites, ignoring the ‘global’ blocking settings?? Thanks again! I think you are going to have a difficult time doing what you are describing. The reason being is that the news sites aren’t what you would whitelist, but rather the calls to ad networks on those news sites. The glaring issue with that is if you whitelist those ads for that particular site, you whitelist that ad network for every site. This might not be the case if the news site is using their own ad network instead of one of the major ones; in that case, you could visit the site and see what calls it makes and whitelist those. Hopefully that explanation makes sense. Another alternative I would recommend would be to use a specific browser such as Firefox for those handful of sites and nothing else. Firefox supports DoH (DNS over HTTPS) so you could configure it to use CloudFlare or Quad9 DNS. This effectively bypasses the DNS server configuration of your local machine. Hope that helps! Hi Dallas. Great tutorial! I followed the steps exactly and it works like a charm. I also learned a great deal about pfsense in the process. Having said that, I do notice that it blocks ads (very well) on connected networks. I have a few VLAN segments and the ads are blocked on all the ethernet connected ones, but not on the wifi connected ones. Is there a setting I missed? Thanks for the feedback! Since it is working on some VLANs and not others, I’m guessing there is an issue with the DNSBL config or possibly a client-related issue. Here are the various items I would check. 1) Under the DNSBL tab, go down to the ‘permit firewall rules’ and ensure all of your VLANs are selected and ‘enable’ is checked. 2) If that is ok, then go to your DHCP server config for that particular VLAN. Does it have something in the DNS servers? If so, I would remove it. 3) If those are both ok (or your not using DHCP), double-check your clients. If you go to ‘ipconfig /all’ [assuming you are using Windows], do you have the firewall listed as the one and only DNS server? Hope that helps! Also, when I look at the services status, pfb_dnsbl service is disabled. I tried restarting it, but it won’t: it spins for a while then goes back to disabled status. Could this be the problem? If it’s disabled, how are ads being blocked at all? Yes, the pfb_dnsbl service must be running. Try backing out some of your settings changes until it starts back up. I’m guessing some of the hostnames are cached locally. Also, try using nslookup on those separate VLANs to see if it works correctly. Good luck! 1) Went to package manager and forced a reinstall of the pfBlockerNG devel package. This finally started the service. However nothing was being blocked. 2) I disabled DNS Forwarder and enabled DNS Resolver. For the Listen Port, I put in 53. Enabled DNS Query Forwarding (I use OpenDNS). Selected all the Network Interfaces. And Voila! It works fully now! It works on all the Vlans and all devices connected to the networks, including Android devices. I don’t know if others have similar issues, but would it help to have this info in the tutorial? Thanks for the update! I’ll add some verbiage in about re-installing the package if the service doesn’t start as well as disabling the forwarder. FWIW, I’m guessing the forwarder was your issue. At any rate, I’m happy to hear it’s working! I’m using Windows 10 (I should have mentioned that). 1 & 2 are good. I think the problem may be at point 3. When I checked the DNS for the wireless devices, you were right, they are using the DHCP server/Gateway for that VLAN (192.168.2.1), whereas the network where pfblockerng is working is on 192.168.1.1 (I’m not worried about any of the other VLANS; those are for servers and IoT devices). Is it possible to have devices on 192.168.2.x use a DNS on 192.168.1.x? I’m poking around and I don’t see how to set that up, if it’s possible. I really appreciate this guide. However, I’m encountering difficulty since I have pfsense configured to use OpenDNS. Do you know if there is a way to use both pfblocker and OpenDNS? I add them on the Feeds tab as instructed. Interesting. I don’t think I’ve ever seen that issue. If you followed the instructions correctly, I would try reinstalling the pfBlockerNG package. If reinstalling it doesn’t work, try removing it after unchecking ‘keep data’ on the initial pfBlockerNG page. If neither of those work, let me know and I can look into some other possibilities. 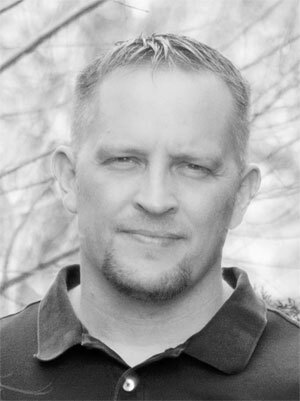 The author also just recently started a pfBlockerNG subreddit that you can ask questions on too. Good luck! Had this issue too, thought first it was because the DNS resolver wasn’t running.. but after enabling it, and adding an empty feed manually, the previously “ADs” feed appeared. I’ve added a comment/note to the post about adding an empty feed if pfb_dnsbl won’t start or if the feeds appear empty. Thanks for the feedback! Great tips and thanks for sharing! I already planned to create a post about using this in an AD environment so I appreciate the input/recommendations! 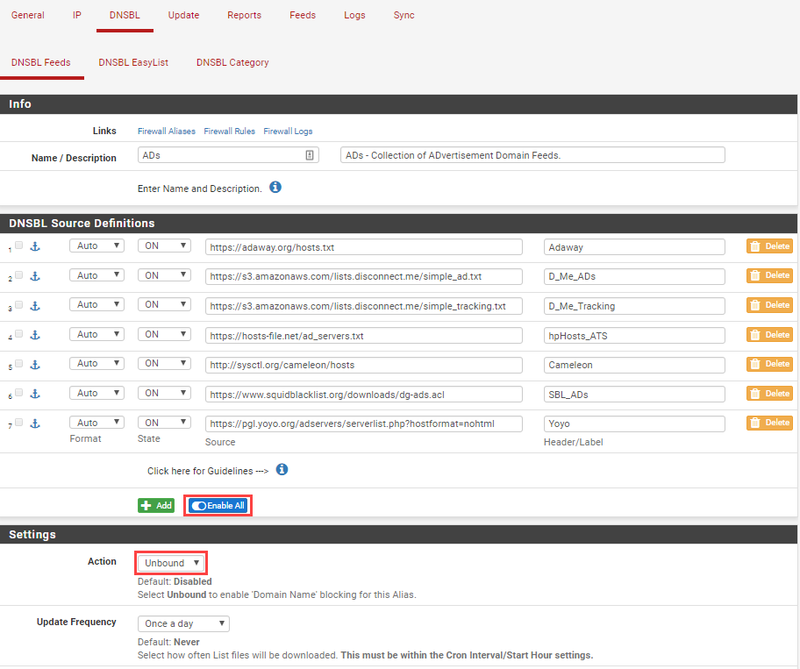 – add a forwarder to your AD DNS to your pfsense box, set the timeout to lowest (1 sec), default is 3 sec? First and foremost, I would let the AD server(s) handle both DNS and DHCP. This also assumes DNS services and DNSBL are working properly on pfSense via command line tests… Next, you can modify the respective AD server(s) via the Windows DNS app. Simply right-click on the server name, go to properties, and then go to the forwarders tab. Remove all other servers and leave just the pfSense IP address in the list. This is also where you would add the timeout of 1 second as NeXsGen specified previously. On the same screen, I also remove the checkmark in the “use root hints” because I want to ensure traffic goes through pfSense/pfBlockerNG. Keep in mind that this leaves pfSense as a single point of fail, although I monitor pfSense systems quite extensively so I would know if unbound is down within a few minutes. Regardless, that is something to think about. Please add a warning in the Install section outlining that you must update Pfsense to the latest version before installing the pfBlockerNG-devel package . i.e. i was on pfsense 2.4.3 ( even though 2.4.4 was available ) and installed pfBlocker-devel. IT BROKE MY PFSENSE INSTALL BEYOND REPAIR. Not even trying to restore from backup config via ssh menu or pkg-static upgrade would work from shell. I had to completely re-install. This package replaces the version of PHP used in pfsense and will cause mayhem if it doesn’t match what already installed. Amazing guide. Very thorough, yet so easy to follow. Got everything up and running in no time. Thank you for putting this together. One question, is it possible to whitelist domains/sites only for a specific device? I use DHCP Static Mapping for most of the devices in our home. Would like to be able to whitelist sites for specific devices. Thanks for the feedback! One option is that you could assign a static DNS on that device, e.g. instead of getting the DNS from DHCP, just assign the DNS statically. Though it might be a little odd, your IP address itself *can* still be handed out via DHCP. If it is a device you don’t have access to the settings, then the answer is ‘no’ if they are on the same network/VLAN. That said, I accomplish what you are trying to do by adding multiple VLANs. This setup has the added benefit of improving security by separating items that should never talk to one another, items they are not as secure, etc. Hope that helps and best of luck! Thanks for the guide mate! Appreciate it and was awesome. I did it on a newer version. The floating rules has been moved into the IP tab under -> IP Interface/Rules Configuration -> Floating Rules. Thanks for the feedback! I will update the guide to reflect the latest changes soon! Thank you for this extremely helpful walkthrough. I got everything working without too much fuss. I am however, having some issues similar to those above where whitelisting is not working. When I ping github.com or http://www.google.com on two of my computers on LAN, I get 10.100.100.1 black hole rather than the website. I tried flushing dns and rebooting, no change. Anything else to try before finding & disabling the lists blocking those sites? Thanks for the feedback! The only times I’ve had issues with the DNSBL whitelist is when I either a) didn’t get an alternative name added or b) I didn’t flush one of the caches properly. In a standard setup, you have DNS cache on your firewall via unbound (restart to flush) and then DNS cache in your browser and OS. The browser cache can be corrected with the shift + refresh or clearing your respective browser’s cache. The Windows OS can be flushed via ipconfig /flushdns. I’m a bit aggressive on my feeds selection so I used to see this a fair amount where a legit site gets added to a list. If you end up finding another issue, let me know and I’ll add it to the guide! Thanks! Amazing guide as always. I learned a lot about PfSense thanks to you. Thank you a lot for that. I thank you in advance for your possible answer. I wish you to have the best year ever with plenty of success, health, luck, peace, and happiness. Yes. You can leave the DHCP servers (Services -> DHCP Server) blank and pfSense will hand out its own IP address to the clients. If you use static IP addresses on your clients, you will obviously need to change the DNS server on them manually. Keep in mind that pfSense must be the *one* and *only* DNS server in order for DNSBL to work correctly. If, for example, you add Cloudflare as a secondary DNS in the pfSense DHCP settings (or on your client), you will have “unreliable” results. Basically, the DNS queries will constantly bounce back and forth between the two DNS servers so one time your ads will be blocked and the next time they won’t. I wish you a safe and happy new year as well! Good luck! I just removed all the DNS entries in my DHCP server as per your recommendation. However, I have a question. If all my home users, clients, are making a DNS query, then they will ask my PfSense directly. However, I am wondering what DNS server my PfSense will use in a Dual Wan setup. Can I change that setting as I like CloudFare ones ? If yes, how? Furthermore, I loved that guide and the one on PbBlockerNG. They just made my internet life better and my home users” ones as well. Do you have any other one(s) to recommend me? I use PfSense as my central router with firewall on a HP EliteDesk with dual WAN by using Vlans. Up to this point, you’ve used the DNSBL portion of pfBlockerNG. I also highly suggest using the IP blocklist portion of pfBlockerNG. It’s much more involved than I’m describing it here, but think of it as blocking known bad IPs instead of blocking by domain names. Thanks a lot for your answers. You helped me so much to learn PfSense and all these stuff. You made the difficult things easy. I already read that one as well. 🙂 Have a nice day! I will keep following your blog and learn more stuffs. I love to hear that! I hope to have a little more time to write this year! Take care! This won’t age well. And, it’s murky enough to leave me scratching my head as to whether I should be following you “old” or “new” posting. Your post is dated 9/2018. I have the 11/2018 v2.1.4_14 pfBlockerNG on pfSense 2.4.4-RELEASE. But that “‘Alerts’ instead of ‘Reports'” would mean I’ve somehow got the old version. Which brings me back to the suggestion that you specify what version you consider old vice new. I appreciate the feedback! Nothing about this ages well with the number of updates the pfBlockerNG package receives! 😉 I actually update the guide on a regular basis and re-read/re-write it when major changes occur so it is never too far out-of-date. The biggest change in the last few months is the initial wizard. Additional changes are coming to the package fairly soon and I’ll re-write for the wizard (and more) when that occurs. I just looked back over the guide… The reference you cited is well into the guide and it was actually the second point made about versions. The first was in the second paragraph, “Please note this walkthrough is for the new devel version of pfBlockerNG.” Thus, I’m guessing you are using the non-devel version of pfBlockerNG. Simply go to the pfSense package manager, uninstall the one you have installed and reinstall the one with ‘-devel’ instead. Good luck! I just installed pfSense, and was looking for a comprehensive guide for pfBlockerNG. I ended up reading your guide and all I can say is “THANK YOU SO MUCH” ! Your guide helped me understand the logic of DNSBL and brought me up to speed in less than 30 minutes ! Unless I’ve missed it, I’d also appreciate a guide to block a single country. I believe a GeoIP guide is in my list of future items, but if not, I’ll add it. In the meantime, simply go to IP -> GeoIP, and then click edit next to the “continent” name. From there, select your country (or multiple countries using ctrl + left-click), change list action to deny inbound or deny both, and then click save. Last but not least, go to Update and click on Run. Once the update process completes, you can go to firewalls rules and you’ll see a new rule on the corresponding interface(s) you chose. Good luck! Wow, thanks for the swift reply ! I’m going to try it right away ! Are you on the latest version of pfSense? If not, then I would make sure you are 100% up-to-date. If so, I would try to reinstall the pfBlockerNG package from the package installer menu. Last, go to ‘Update’ from within the package and see if there are any glaring errors. You can also check the logs and especially the pfblockerng.log via the logs menu to see if there are any errors there. Thanks for stopping by! Hi, thanks for the easy to understand guide. I followed you up to the point you did easylist. I don’t have the Configuring DNSBL EasyList option. Thanks for stopping by Fred! In the most recent point release, the EasyList was moved to the same location as all other DNSBL feeds so it is no longer a separate tab. Holler back if you need any additional help! Hi Dallas, great guide (as usual). I have deleted pfBlockerNG and installed pfBlockerNG- net developer 2.2.5_21 on pFsense 2.4.4-RELEASE-p2. When I select DNSBL I only see DNSBL Feeds and DNSBL Category, no Easylist. My EasyList is still under DNSBL Feeds. I have tried reboots and reinstalls but no luck. Do you have a clue? Update: Pls ignore my previous post, I found the latest message. Glad you found it! I’ll get the guide updated soon too. does this run on top of DNS Rersolver? Or are we supposed to stop that ? I enabled it, updated, following your guide, but when I go ping the sites it still pings to public IP and not the fake IP we used. MY DNS resolver is enabled. Are they both supposed to be disabled? nslookup from network clients using my pfsense vm with blockerng installed cannot resolve. You cannot have the DNS forwarder and DNS resolver running concurrently. In addition, the DNS resolver (unbound) is a must for DNSBL. In fact, double-check your ‘custom options’ and make sure you have an include directive related to pfb_dnsbl — “server:include: /var/unbound/pfb_dnsbl. *conf” in the options as enabling DNSBL should add it automatically for you. Nslookup is great for testing as long as you ensure you are using pfSense as your server. Take special note of the address after you first type the command on a line by itself. You can switch to the correct IP by typing “server” followed by the IP address from the nslookup prompt. hi dallas followed your tutorials but the ads in youtube and yahoo still shows up, i enabled pfblocker and dnsbl and set it up to defaults and put some feeds like easylists and several ads block, when using nslookup google.com the ip of pfsense shows up and not 10.10.10.1. i have dnsresolver to defaults and not dns ip are put on general setup and dhcp dns servers. but in the dashboard i saw that the dnsbl has blocked some on the list and i can browse the 10.10.10.1 ip or ping it. is it a bug like what i read on pfsense forum? YouTube is one of the “funny” ads, i.e. ads originate from the same DNS names as content. Thus, they can’t be blocked via any means of DNS blackholes/sinkholes, e.g. DNSBL, pi-hole, etc. Interestingly enough, uBlock Origin (mentioned at the bottom of the post) *does* block YouTube ads. I highly recommend using uBlock Origin not simply for YouTube ads, but to provide another layer of protection. Google.com will *not* get blocked… That would be bad. 😉 Instead, look at some of the common ad networks DNS names and check those. If you type ‘nslookup analytics.yahoo.com’ you should see 10.10.10.1 returned. If not, go through the standard troubleshooting steps. 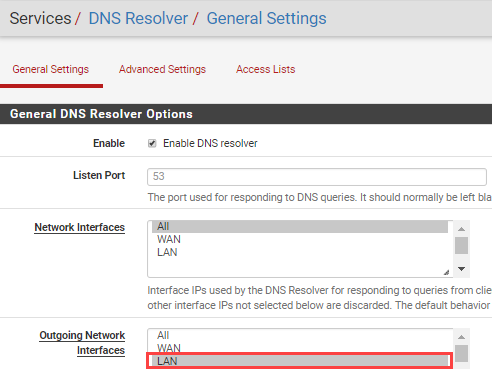 For example, ensure your checking your pfSense (and not some other IP), verify your devices are using pfSense as the one and only DNS, verify DNS resolver starts without issue, verify DNSBL is started, verify the pfb_dnsbl.conf related line is present in the custom options for DNS resolver, etc. If you are seeing items show up in the DNSBL list (and not the IP list), then I would say there is an issue with which DNS server your devices are querying against and not anything with pfBlockerNG. You mentioned your general setup and DHCP DNS options. I do have a guide for the general setup and no, you don’t need to setup Quad9 if you prefer something like Cloudflare. This guide also shows the ‘custom options’ I discussed above with the pfb_dnsbl option. Your DHCP/DNS servers do not need any values. If DNS resolver is enabled, it will automatically use the firewall IP address if you leave your DHCP DNS options blank. hi thanks again for the tips and reply, when i do nslookup to analytics.yahoo.com all four dns queries didnt respond maybe some issue in my fwrules as i only allow http,https,8080,dns,and realtime streaming ports maybe i need to put another protocol or ports, but if i where to ping the analytics.yahoo.com it does respond but coming from 10.10.10.1, anyways i will read what you link it through, btw all my limiters rules are in lan, i wonder why some other tutorials and pfsense forums they do the firewall rules on floating rule any thoughts? i read somewhere that the lan rules are for pc clients needing services out in the internet and wan rules are for the internet to view the services in the lan like web server? You would want to allow DNS (UDP 53) to your firewall and then reject/block all DNS traffic outbound. This will help with ensuring your network clients talk to the pfSense DNS (there are a number of ways to bypass it). It’s odd that the Yahoo address returns 10.10.10.1 because that is expected behavior if everything (including the firewall rules) are working. Are you sure your default DNS is set to the firewall? You can verify this from the command line by typing ‘ipconfig /all’ and looking for your current adapter. Your DNS should be the standard pfSense internal IP and *nothing* else. For example, if you access your firewall by going to 192.168.1.1, then that should be your one and only DNS server listed. Limiter rules depend on what you are trying to do. If you want to limit any internal client to 2MB, then you need to make sure that is on the LAN because your WAN wouldn’t be able to differentiate the internal client IP addresses. Floating rules simply apply to multiple interfaces. FWIW, I tend to avoid floating rules unless absolutely necessary. Can these instruction be used for the latest 2.1.4_16 version. I just installed it today? Thanks! Yes! The biggest difference is that the wizard installs the PRI1 on the IP block side and a handful of groups for the DNSBL/ad side. In addition, the easylist is now in the feeds like everything else. I highly recommend the walkthrough because it helps you understand a lot of the methodology and testing. Thanks again! I’m also going through the IP Blocking instructions from your earlier contribution. A few questions…albeit mushed together so sry about that: I plan to run Snort for IDS along with pfBlocker. I’m looking for a balance in configurations because I know there are IP lists and rules that can be downloaded for both. I plan to subscribe to a paid list in Snort…unless I’m missing something that renders paying unnecessary. Is it best to use Snort on my inside LAN networks to monitor LAN intrusions & outbound rules, and use pfBlocker to run on WAN for Inbound traffic filtering only? I’m trying to avoid redundancy and wasting system resources since my pfSense build is running 24/7. I have 8GB RAM on a dual core 2.5 Ghz Celeron. I typically run a *lot* less Snort rules as a result of pfBlockerNG. Keep in mind that Snort and pfBlockerNG run simultaneously so an IP blocked by pfBlockerNG may also trigger a Snort event. This is especially the case if you try doubling up the block lists from ET, ISC, etc. If you are just playing around, I would try the free feed first, read about the differences between free and paid, and then make your determination. What interface you run Snort depends on your environment. A lot of times I will run Snort in IPS mode (with limited rules) on the WAN and then Snort in IDS mode on the LAN. It probably goes without saying, but IDS mode does nothing if you are not watching and investigating the alerts Snort generates. It really depends on your traffic on how useful either will be. You may find an overwhelming majority of your traffic is encrypted so Snort isn’t as necessary… And no, that doesn’t mean Snort can’t help with encrypted traffic, but it extremely limited when compared to un-encrypted traffic. Hope that helps! For the DNSBL procedures here, I notice it’s recomm to enable DNSBL Firewall Rule if there is more than 1 LAN net. I have 2 interfaces. 1 is for my wired trusted devices (lab), and the other is for a wireless access point used by guests/laptops, and other crap devices that access to the internet. These 2 networks are subnetted separately without any crossover traffic between. So is it safe to select both and enable this floating Firewall Rule for DNSBL. I don’t want to inadvertently allow my crap-network access to my trusted LAN. The description wording on the check-box leads me to ask because it sounds like I might be allowing the crossover? Thank you. Absolutely awesome write up. Thank you Keith! I appreciate the feedback!